With summer just around the corner and temperatures rising in Southern California, your HVAC system is about to be put through its paces, and that means higher energy bills for at least the next three months. But there are things you can do to keep that from happening – ways you can boost your energy savings and reduce the load on your air conditioning. Let’s take a closer look at five such ways and how you can implement them before the hottest parts of the year arrive. The easiest way to ensure your HVAC system operates only as much as is needed is to have routine maintenance performed every year. 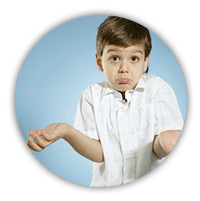 Whatever type of system you have, Orange County residents put a lot of wear and tear on their air conditioners, meaning annual maintenance for a standalone system, or semi-annual maintenance for a full HVAC system. Preventive maintenance with a service provider will ensure your system is clean and ready for the heaviest load of mid-summer, replacing parts before they fail, and checking for potential leaks or component problems. One of the easiest ways to generate significant energy savings from your HVAC system is to have your home thoroughly inspected for drafts and old or ineffective insulation. You can hire an energy auditor to visit your home and perform the necessary calculations to determine if your insulation is efficient for the size and type of home you are cooling. At the same time, common issues like drafty windows and doors can increase your annual energy costs by a fortune if you’re not careful. Keep all doors and windows sealed when operating your HVAC system, have weather seals installed on windows, and check for any old windows or doors that may need to be replaced. Want to use less energy cooling your home? Then turn down your system. 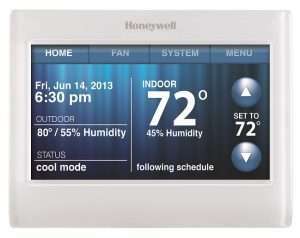 Thermostat control is a huge factor in the energy consumption of your HVAC system, but it can be difficult. Thermostats turned up too high at night or left on during the day when the home is empty can be costly mistakes, even more so if your home has multiple thermostats that you don’t always control. Turning up your thermostat to 74 instead of 70 for a few hours a day can be a huge help, but so too can having a programmable thermostat installed that will do this for the entire house automatically every day. Automatic thermostats can be set for weekdays versus weekends, overnight hours, and hours out of the house, as well as vacations. Air conditioning so easy. Just flip a switch and it’s on – cooling the house in just a few minutes. But for days when the temperature isn’t out of control, there are low tech ways to cool things off that can save a lot of money. Using curtains and blinds to block the sun on south-facing windows during the day, using fans or opening windows to let a breeze through the house – these are all good ways to tackle the temperature, especially early in the day before it gets too hot without cranking up the AC. Your air conditioner has ideal conditions in which it is meant to operate. This relates to the load of the system, the frequency at which it turns on and off, and the air filtration you have installed. Make sure you are setting your HVAC system to the right settings, not cranking it way down when it’s hot out and forcing the system to work extra hard, but also not setting it so the system turns on and off frequently throughout the day, something that not only uses extra energy but puts real wear and tear on the system. If you are tired of your exorbitant Orange County or Los Angeles energy bills and want to do something about it, now is the time to address the issues above that can have a huge impact. Even a few hours preparing for the summer each year can provide significant savings over the course of several months.